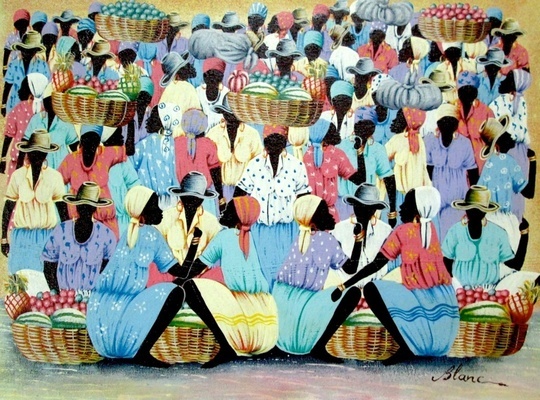 Blanc was born in Cap Haitien in April of 1965. His mother is a vegetable merchant and his father is both a gardener and a rum (clairin) distiller. After school he took up the guitar. He studied mechanics for 2 years. Blanc joined the workshop, Arc-en-Ciel studying under Laetitia Schutt. He remained there more than two years, starting by working with watercolors. He then started painting with acrylics and, within six months his work showed a strong control of the medium. At the beginning of 1983, he sold his first painting, a landscape. His paintings exhibit precision of line and clarity of color. He paints market scenes, ra ra bands and jungle landscapes in an exacting manner, with repetitive patterns and dramatic color. Blanc has said that he used to like to paint landscapes, until "One day, I saw a painter who made women at the market, dressed white. I liked that, the idea. It is pretty, the white..." At that point he decided to do his own interpretation of the market women. 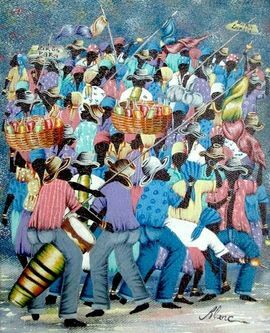 He has exhibited in Cap Haitien and in collective exhibits in France. 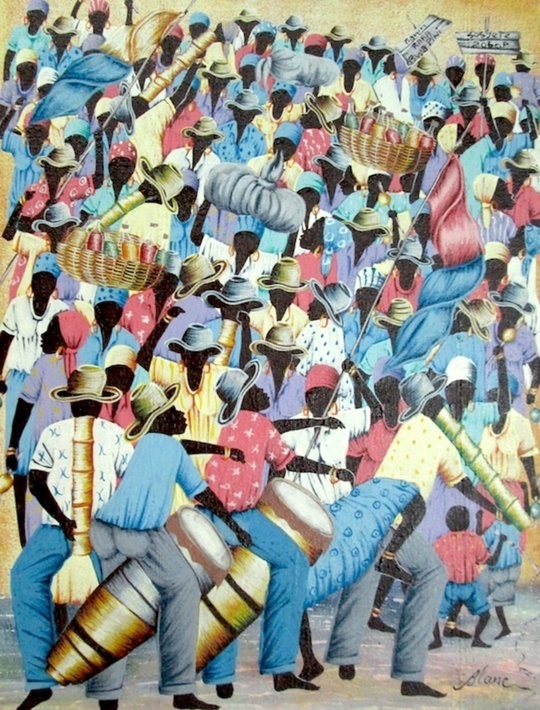 Jean-Claude Blanc lives with his wife and baby girl in Port-au-Prince, where he has his studio. 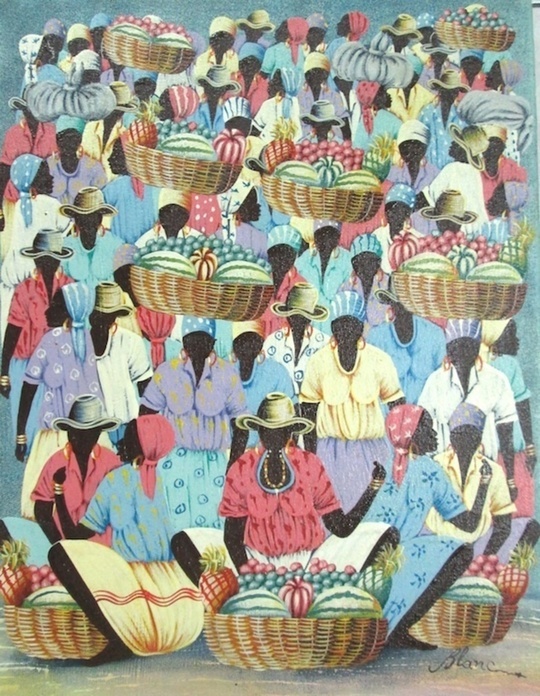 He joined "l´atelier l'Arc en Ciel" in Cap Haitian where Laetitia Schutt was his teacher.